I offer one (1) free consultation to see if we are a good match, two (2) meetings in your home before the birth to build a relationship and learn exactly what you need to have an amazing birth, continuous support during labor and immediately postpartum, and one (1) meeting in your home approximately two (2) weeks after baby arrives. Workbook included. Everything you need to know to have an amazing birth, this 10-week class covers the ins and outs of birth, breastfeeding, and baby care. Workbook and Breastfeeding Class download included. Are you planning to have an amazing birth at a hospital? This class covers everything you need to know to have an amazing hospital birth and takes place of six (6) sessions. Workbook included. Are you planning to have an amazing birth at a birth center or at home? This class covers everything you need to know to have an amazing out-of-hospital birth and takes place over four (4) sessions. Workbook included. The following classes can be added onto your doula services package and take place in the client’s home. Prepare for a healthy pregnancy with this two hour class covering nutrition and exercises to help you feel your best for the big day and beyond. This class is best taken as early as possible to learn tips for an easier pregnancy throughout all trimesters. Workbook included. Prepare to birth with confidence in this 4 hour class. Learn coping techniques for labor such as relaxation, comforting touch, positions, visualization, communication, and more. Workbook included. Prepare for life with a new baby in this 4 hour class. Learn about newborn procedures, breastfeeding, babywearing, safe sleep, postpartum issues, baby comfort techniques, and more. Workbook and breastfeeding class download included. Have you already had an amazing birth? 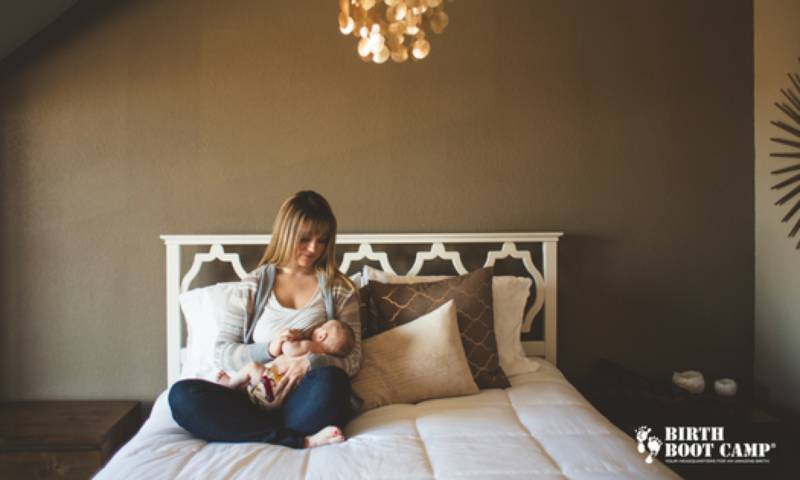 This in-home class is the perfect refresher course to help you have another amazing birth. It is best taken around 36 weeks and takes approximately 3 hours. Workbook included. Have you ever wanted to pick a doula’s brain about your birth but did not want to hire a doula to attend your birth? In these sessions, we meet to answer any and all questions you have regarding your upcoming birth. We can create a stellar birth plan, discuss policies and procedures at your chosen birth location that can influence your birth outcomes, and formulate strategies to help you have the best birth possible. This session takes approximately 2 hours and occurs at a meeting location listed on my Contact page. Relax in your nest of pillows, and let’s explore what blockages might be preventing you from going to labor in a timely manner. This in-home session of comfort takes approximately 2-3 hours as your partner and I offer comforting touch and unpack any baggage that might be holding your baby in.